I found this quite a tricky object to draw, in that the tonal differences were complicated by the nooks and crannies of the wood. It did help putting the darkest tones in first, as these were the most obvious. I used a range of soft pencils from 4b to 8b. 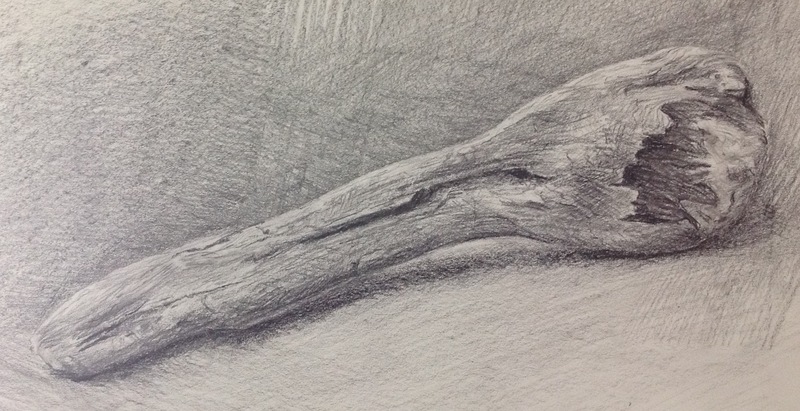 I hope that the lines and marks describe the rough lines and texture of the piece of driftwood.